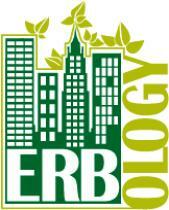 As New York City-based landscape designers, our work is often hidden away from public view atop lofty rooftops, or secretly nestled away amid the backyards and courtyards of townhouses and apartment buildings. However, we also have plenty of clients and buildings which care equally about their curb appeal as they do their private property. 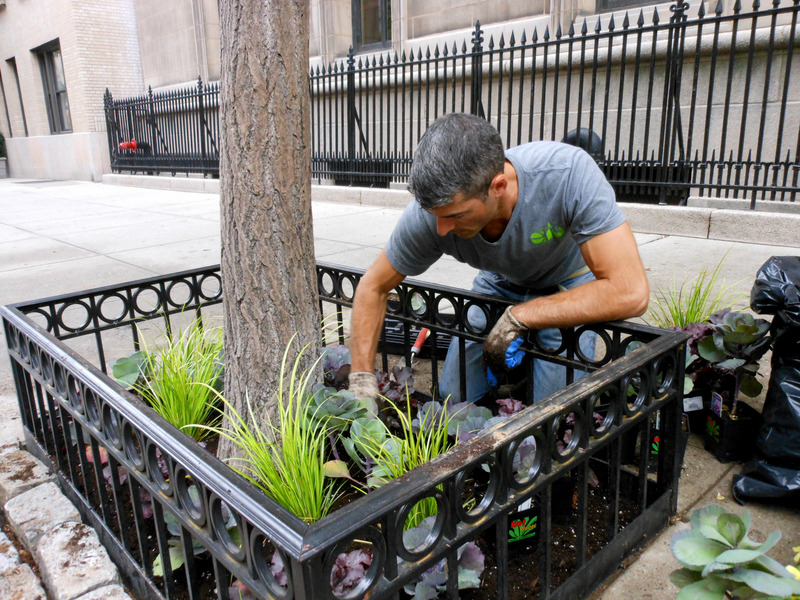 The beautification of building entryways and street plantings, can be extremely rewarding and impactful. For our clients, entry planters, window boxes and sidewalk plantings are the first line of beauty they encounter when arriving or departing their residence. From our perspective, this is often the only publicly accessible demonstration of our work, and a small way we contribute to the beautification of our own city and neighborhoods. The best example is the care and planting of street tree beds widely known by the woefully lackluster descriptive – the tree pit. Tree pits in cities are challenging and temperamental planting environments under ideal circumstances. The frequent lack of direct light is a significant limiting factor. Soil conditions and the amount of soil volume available also greatly impact the success of recommended plantings. We have unearthed bricks, rocks, trash and debris of all kinds (no fossils or arrowheads unfortunately) while excavating tree pits. As professionals we have extensive experience to offer our clients for site preparation, plant selections, planting procedure and of course maintenance. There is however, one issue which is out of the control of horticultural enthusiasts. The number one issue to contend with in the success of street plantings and tree pits is pets, or more specifically pet owners. Dogs of course must be walked, they need outdoor space, air to breath and a place to do their business – herein lies the dilemma. Dog (and other pet) urine is highly acidic. Its effects are negative for street trees, but for shrubs and flowers it can be devastating. We have seen this first hand on many occasions. Despite the obvious investment of time and money, some dog owners actually allow their dogs to climb into tree pits and decimate flowers and plantings. In the pursuit of happy clients and protection of their investment we have implemented many solutions to raise awareness and to discourage dogs from actually entering the tree pits. We regretfully report, that even while working on job sites, we have seen owners allow their dogs to jump over rails and guards to land smack dab in the middle of beautiful flowers and urinate. Most pet owners are considerate and understanding of their surroundings, but a large part of this issue stems from the fact that they are unaware of the harm they bring to street trees and surrounding plantings when they allow their pets to use them as an outdoor litter box. Recalling the progress made in NYC regarding the poop scoop law, we are convinced that proper education and public relations will solve this issue. 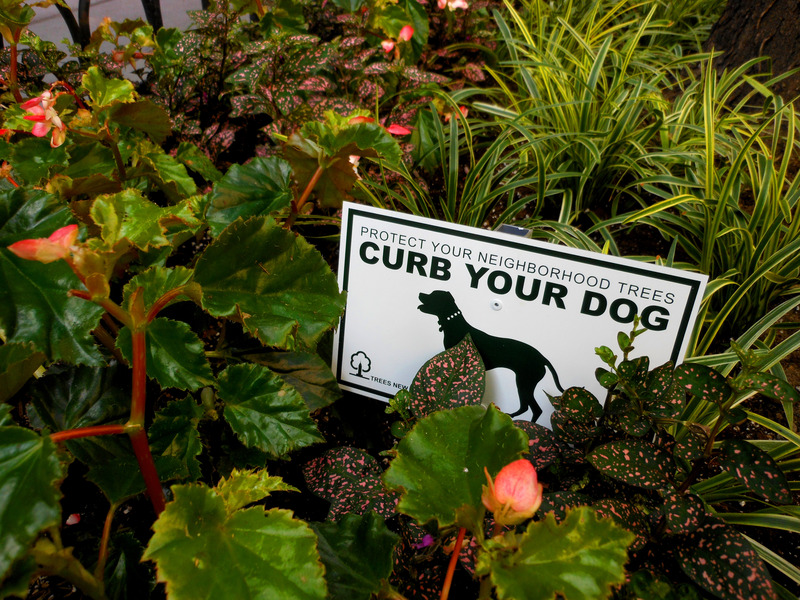 We would love to start a full-blown educational campaign to protect street plantings, but in the meantime we continue to remind residents of the importance of curbing canine friends.